Step through the black, C.S. Lewis-inspired wardrobe designed by Dallas artist Gary Buckner to find trendy, East and West coast-inspired brands like Amanda Uprichard, Cameo, Finders Keepers, and several private label lines. Though the neon and earth-tone selections are a touch more sophisticated than Milk & Honey’s boho chic finds, most are still as budget-friendly and blend beautifully within Lion & Witch’s clean, contemporary interior. Lofty, 14-foot exposed ceilings and gallery white walls set the stage for rows of copper clothing rods and matching hangers, minimalist light fixtures, cheeky black and white wall art, and the occasional, well-placed cactus. 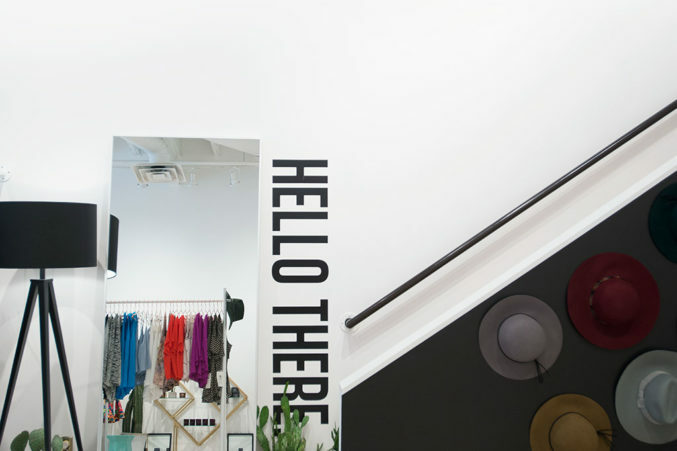 The result: a bright, chic and whimsical shopping experience that sets Lion & Witch apart from its Highland Park peers. Let this shop know you found them on D Magazine's Online Directories.